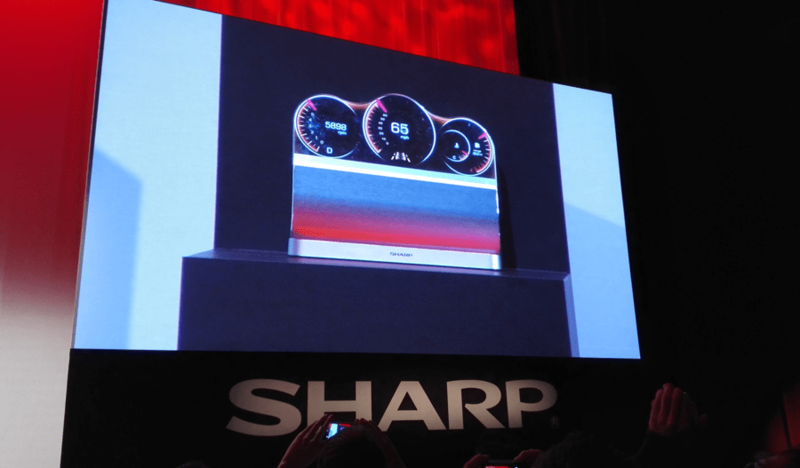 Our current displays are basically all in the rectangles in shape, but Sharp says it doesn’t have to be that way. At CES2015 this morning they announced they’ve been able to create displays in an almost limitless configuration. 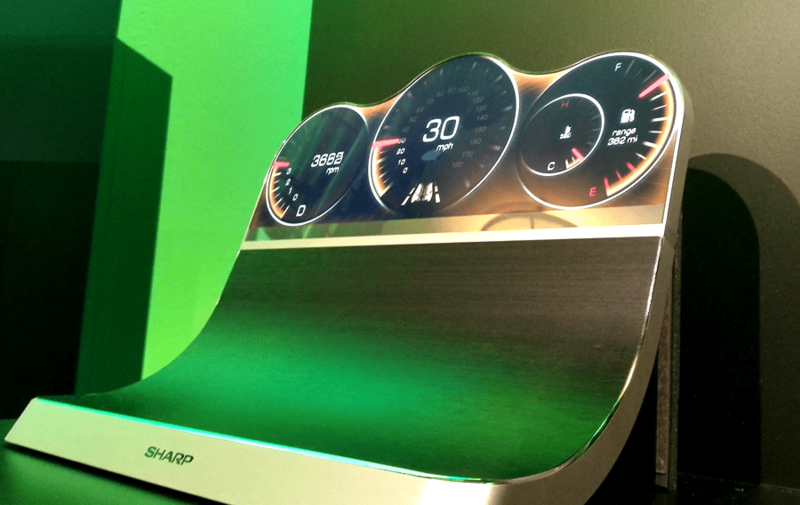 The example they showed on stage was a vehicle display cluster. These circular displays are perfect for representing the speed and RPMK dials. Sharp didn’t spend much time on these, probably not compared to how important this development will be. After the press conference wrapped up, we had a chance to get up close and personal with the free-form displays. they’re gorgeous and perfectly round. As you can see in the video, this is working with video, today. the curved stand is a bit deceiving, it wants you to think this display is curved as well, but in reality, the free form display is the flat surface at the top.